Ellen was born at Risdon in Lancashire 2 July 1769. She was the eldest of 10 children of Edmund and Anne Eccles (nee Osbaldston). By age 17 she was in trouble with the law for stealing clothing. She was tried, found guilty in the Preston Court and sentenced to 7 years transportation. It is claimed Esther adopted the alias Ellen Wainwright to protect her family from embarrassment. Some 12 months following her conviction she made the voyage to Port Jackson on the Prince of Wales and received punishment during the voyage for stealing. The fleet left Portsmouth on 13 May 1787 and arrived in Botany Bay 20 January 1788 and thereafter Sydney Cove on 26 January 1788 (nowadays marked as Australia Day). It was during the journey she formed a liaison with a seaman James Wilson and had a child on 24 May 1789 named Mary Ann. Ellen was initially located in the new settlement of Sydney when selected to go to Norfolk Island. Governor Phillip’s instructions of 25 April 1787 had ordered him to send a detachment to Norfolk Island as soon as circumstances permitted. On 12 February 1788 Phillip appointed Philip Gidley King Superintendent and Commandant of the Island and on 5 March 1788 King landed on Norfolk with a group of soldiers and convicts. 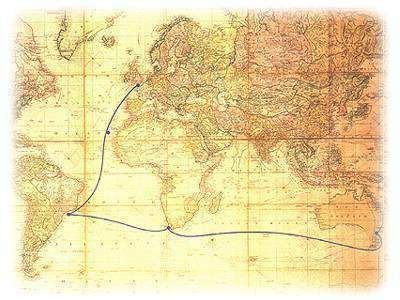 Later others were sent to relieve the strain on the mainland where food was scarce. 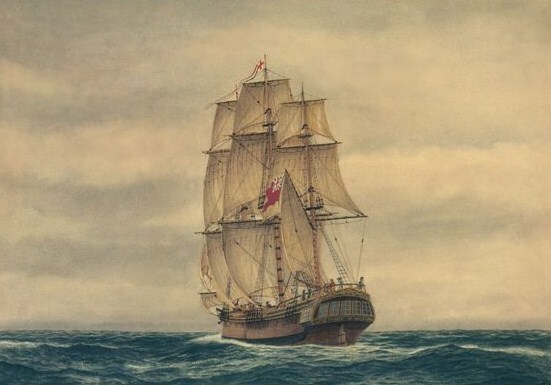 Ellen was among the second group sent to Norfolk Island in 1790 from Sydney. Her child Mary Ann went too, the little girl died on Norfolk 9 April 1792. Ellen had two other children on Norfolk Island — Henry born 1791 who apparently died an infant, and another Mary Ann born 14 January 1795 named for her deceased older sister. There has been some conjecture about Mary Anne’s father. Although the father was allegedly unknown Mary Anne (also known as Marianne at times) grew up believing it was a convict named Lucas. In a note allegedly written by Mary Anne late in life she claimed it was Paul Lucas although no such named convict was in Norfolk. The only Lucas on Norfolk was a Nathaniel Lucas married to Olivia Gascoigne (married on Norfolk in 1788). Nathaniel Lucas by all accounts was a hard-working and in time respected individual who contributed significantly to the development of the fledgling Crown Colony of New South Wales. A father of 13 children with Olivia it appears an unlikely tale unless he was ‘moonlighting’ but one that had currency in the Wainwright Guy family. Mary Anne died at the home of her daughter Martha on 1 February 1865. The informant on her death certificate, her son in law Charles Dennys a respected and successful wool broker (of Denny Lascceles fame) gave Mary Ann’s maiden name as Lucas. Further one of her grandchildren also carried the name Lucas. Given that Mary Ann’s mother Ellen was rather profligate when it came to partners it is likely she had no idea who the father was of either children born on Norfolk. However it was on Norfolk that Ellen met Thomas Guy (sometimes referred to as Gay). Thomas was a convicted highwayman of ‘stand and deliver fame’ sent to Botany Bay on Matilda in the Third Fleet. Thomas and Ellen remained together on Norfolk Island for 17 years during which time three more children were born - Ann on 28 February 1800, Elizabeth on 13 November 1802 and Frances on 13 June 1805. From 1788 to 1814 Norfolk Island existed as an extension of the penal settlement in NSW but by the early 1800s the Island was no longer viable and Van Diemen’s Land (Tasmania) was available to re-settle convicts. 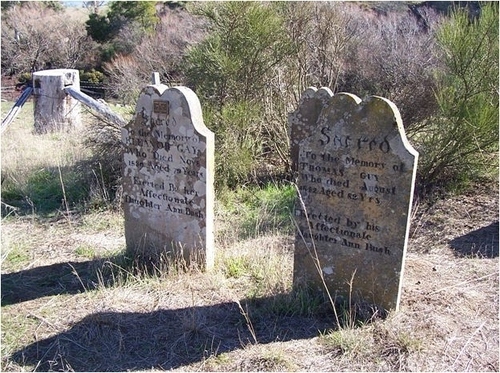 When the Norfolk Island settlement was abandoned, Thomas and Ellen, with the three children, were sent to Van Diemen’s Land and given a grant of land at New Norfolk close to Hobart. Thomas Guy and Ellen Wainwright and their children left Norfolk Island aboard the City of Edinburgh arriving in Hobart on the 2 October 1808. Ellen appears in the 1805 - 1806 Muster of NSW and Norfolk Island as Hester Wainwright. Her reference number is D0532 and Ellen is listed as a woman who’s sentence had expired - she is “off stores”. Ellen subsequently appears in the musters in Tasmania - the 1818 and 1819 Muster of Free Women in Hobart where she is listed as Estr (Esther) Guy in 1818 and Elr (Eleanor) Guy in 1819, in both musters she is “on stores” by reason that Thomas Guy is a constable and in the employ of the Crown. Mary Ann lived with the family on the farm at Magra a tiny settlement just off the Lyell Highway, about 35 kilometres from Hobart. Ellen and Thomas married on 24 May 1812 apparently at the behest of Mary Ann’s first husband Denis McCarty. Ellen (or Eleanor as she was also known) died on 8 November 1839 aged 72 years and was buried in the churchyard at Magra. Ellen’s headstone is located close to the lower north-west corner of the graveyard in a wooded area. Her husband Thomas Guy died 3 years later on 10 August 1842 - he was buried next to Ellen in a separate plot. All four of Ellen’s daughters married and today there are hundreds of descendants with “her blood in their veins” as documented in the book by Irene Donaldson ‘Her Blood in Our Veins’ published in the Bicentennial Year 1978. In 1988 the Fellowship of First Fleeters dedicated a memorial plaque to Ellen and Thomas, affixed to the top of their respective headstones as referred to below. Lateral lines of ascent include the families McCarty, Wheeler, Bush, Hobson, Lascelles, Bilston, McElligott, Gorman (O’Gorman), Sandiford and Devine. The headstones of Ellen and Thomas were erected by Ellen’s daughter Anne Bush. 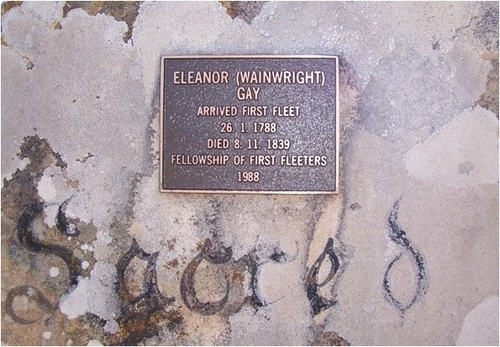 The Fellowship of the First Fleet, a volunteer organisation dedicated to marking the contribution of First Fleeters to Australia’s founding and development had embarked upon a program to place a plaque on the headstones (alternatively a landmark nearby) of identified and authenticated First Fleeters. 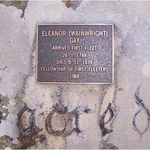 A plaque was placed on Ellen’s headstone on 3 November 1989. Images and documents relating to Ellen Wainwright alias Esther Eccles and other convicts in the Stone and related families are available in the Archive section of The Stone Family of Australia.